Since 2000, the Russian Federation has established a sufficiently effective system to manage military-technical cooperation between the Russian Federation and foreign states, incorporating the Federal Service for Military-Technical Cooperation ('FSMTC of Russia') as its critical enabler. The Federal Service for Military-Technical Cooperation is empowered with control and supervision functions in the MTC area. FSMTC of Russia shall be a decision making authority on import to and export from the Russian Federation of military purpose products as decreed by the President of the Russian Federation, also in the established manner and as authorized by the Russian Federation President, issue of licenses to military-technical cooperation-affiliated entities for import to and export from the Russian Federation of military purpose products. 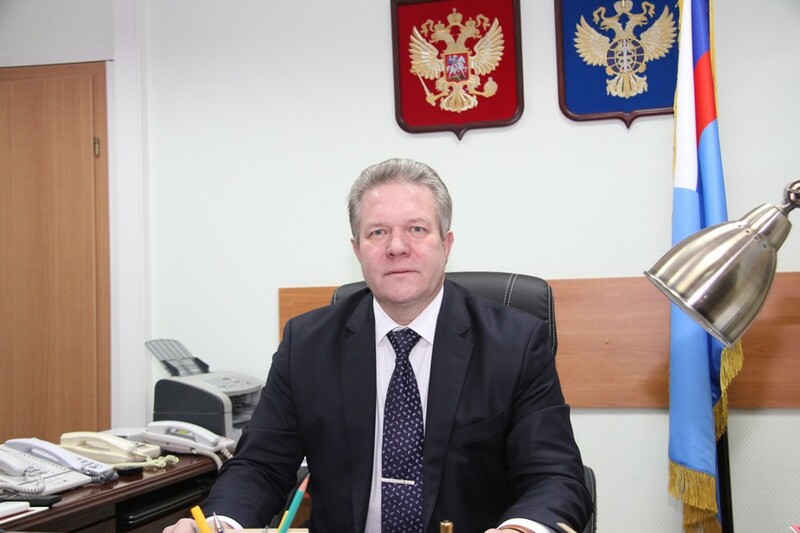 Vladimir Drozhzhov, Deputy Director of the Federal service for Military Technical Cooperation (the FSMTC of Russia), head of the official Russian delegation at AERO INDIA – 2017, says in an exclusive interview to the magazine «Russian Aviation & Military Guide» about the peculiarities of military-technical cooperation with India. — Mr. Drozhzhov, what types of Russian military equipment are the most familiar in India? In what areas cooperation is most active today? — Russia and India are bound by a privileged strategic partnership. The military-technical cooperation between our countries remains at a very high level. All types of military equipment produced by Russia - overland, sea and aviation – are broadly presented in the Indian Armed Forces. The most well-known are: "MiG" and Su-30MKI type aircrafts, "Mi-17" type helicopters, T-72M1 and T-90S tanks, BMP-2 infantry combat vehicles, "Pechora", "Kvadrat" and "Osa-AK" air defense missile systems, missile boats of different projects, 11356 project frigates(known as "Talwar" class), 877EKM project submarines (Kilo class) and, of course, "Vikramaditya" aircraft carrier. Our countries continue to build up cooperation in a wide range of areas. First of all, I mean license production of Su-30MKI aircraft and T-90S tanks; preparatory work to launch production of Ka-226T helicopters in India. Contract negotiations on S-400 "Triumph" air defense missile system are fully under way. So are the talks on 11356 project frigates for the Indian Navy. Russia is also participating in tenders on different types of air defense means to India. — What main competitive advantages does Russian military equipment have from the point of view of the Indian Army Forces? — Russian equipment is truly time-tested. It has been supplied to India for decades. So, evidently, there is all the infrastructure necessary for its smooth operation and there are capacities to train Indian specialists. Above that, the main competitive advantage of Russian weapons and military equipment is their high performance characteristics which are up to the best world standards. And at the same time our equipment stands out for its easiness in operation and high reliability. — The military-technical cooperation (MTC) with India started in 1960 when the first batch of MiG-21 aircraft was delivered to India. For more than half a century of MTC we have signed contracts exceeding 65 billion US dollars. Russian technical assistance helped India build above 170 military production objects. Interaction in this field has always been progressive and constructive. — How high is the potential for modernization and renovation in the Russian military equipment? What can the Russian Federation offer today in this regard? — Initially all exported Russian military products have a huge potential for modernization, and the military equipment supplied to India is no exception. A graphic example is the modernization of MiG-29 aircraft of the Indian Air Force to level MiG-29UPG. As a result, the Indian Air Force will receive the latest generation aircraft capable of carrying out a wide range of missions. At the negotiation table are also the modernization of T-72S and T-90S tanks and the first batches of Su-30MKI aircraft, produced in 1990s, and the upgrade of Il-76 military-transport aircraft and Mi-17 helicopters. — As the forthcoming "AERO INDIA - 2017" has a focus on aviation, it is natural to ask you, what aviation equipment according to the experts of FSMTC of Russia is in high demand by India? — Well, a very important field of cooperation with India in military aviation, undoubtedly, is the joint development of the FGFA. Russia has also offered latest Il-78MK-90-A tanker aircrafts to India. We are ready to additionally supply to India our distant radar detection aircraft based on Il-76TD. The project of deep modernization of Su-30MKI aircrafts produced in 1990s and early 2000s years might become yet another promising direction of the Indo- Russian cooperation in the aviation sphere. Worth mentioning are our achievements in the area of helicopter equipment. First of all, it is future production of Ka-226T helicopters in India, as well as the additional delivery of Mi-17V-5 military-transport helicopters and the project on modernization of "Mi-17" type helicopters supplied to India in 1980s – 1990s. — What pieces of equipment presented by Russia at this salon will potentially raise high interest among partners? — Certainly, it will be our brand new MiG-35 fighter that has just been successfully presented in Russia. In our opinion, Il-76MD-90A new generation medium-range military-transport aircraft with PS-90A-76 engines and Il-112V light military-transport aircraft also deserve attention. Russian outstanding helicopters are usually of great interest to foreigners. Ka-226T light helicopters, Ka-52 attack helicopters and various modifications of the "Mi" type military-transport helicopters will be presented at the exhibition. — Is Russia ready to consider joint ventures in India? Is the experience of such cooperation positive? — We have a positive experience of making JVs with a number of countries, but the real gem in the crown is "BrahMos Aerospace" — a joint Russian-Indian organization. It produces missiles that are not only in demand in India, but have a vast export potential. Besides that another joint Russian-Indian venture on production of Ka-226T light helicopters is being finalized. Given the “Make in India” program that is strategically important for India and the special level of our bilateral relations, the Russian Federation is ready to jointly develop and produce hi-tech military equipment with our Indian partners.